Now, more than ever, we need to consider the damaging impact of small everyday beauty products on the environment. Just last year, the sale of microbeads was banned after studies discovered how incredibly damaging the tiny toxic pieces of plastic, found in toothpaste and face washes, can be on marine life, with GOV UK reporting that ‘just one shower alone is thought to send 100,000 microbeads down the drain’. Although this is clearly a step in the right direction, it’s becoming increasingly important to consider the amount of plastic we buy, use and waste each day, particularly within our daily beauty routine. When you think about it, how many of your makeup products are ethically sourced? And how much of your skincare routine is porbably destined to end up floating in the sea? With 40% of plastic production being used for single-use items that are discarded within a year, now’s the time to take the necessary steps to help the environment, no matter how big or small. We’ve rounded up a few easy alternatives to make your routine as eco-friendly as possible, without drastically overhauling your makeup collection or breaking the bank. The Marine Conservation Society recently found that wet wipes make up 93% of ‘fatbergs’ located in UK sewers, whilst only 0.5% is fat waste. This shocking figure highlights how more needs to be done to ensure we move away from using face wipes daily, and instead start reaching for eco-friendly alternatives such as reusable bamboo cotton pads, organic muslin cloths and, at the very least, biodegradable wipes. Not only will you be doing your bit to save the environment, but you’ll also be saving money in the long run. We recommend trying Pai Muslin Cloths, which are made from 100% unbleached cotton to gently exfoliate the skin and can be used repeatedly alongside your favourite cream cleanser. If you’re looking for something fuss-free and travel-friendly, try Face Halo, the non-toxic cleansing tool that claims to dissolve all makeup from your face using only water – you’ll have to try it to believe it. 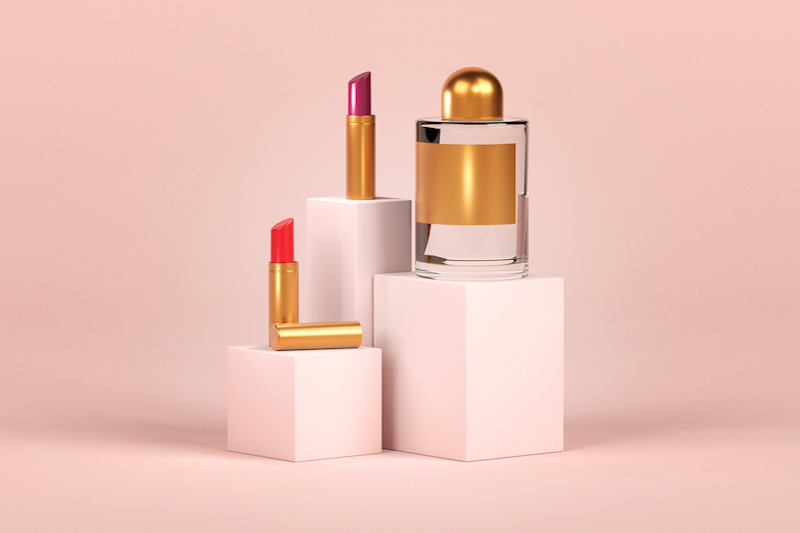 Whether you’re trying to cut back on the number of beauty products you purchase to save the environment or to benefit your bank balance, the option of makeup refills is readily available at a variety of high-street retailers. They allow you to create custom blush, eye and lip palettes to suit your own style, whilst cutting out having to buy unnecessary shades that you’re never going to use, and inevitably end up wasting money and plastic. For an affordable option, mix and match your very own selection of over 60 different metallic or matte shades in the NYX Custom 9-shadow Palette or keep your makeup sleek and organised in a Large M.A.C Palette. Plenty of high-quality brands have championed natural, eco-friendly products for years, it’s just a case of shopping with consideration and checking the labels to help reduce the carbon footprint of your makeup bag. If you’re looking for a brand that ticks all the boxes, Bybi Beauty is one of our favourites, offering vegan and cruelty-free skincare solutions at an affordable price point without compromising on quality. You can build your own beauty bundle online and receive a free reusable bag to store all your products. Another chemically conscious brand to consider is Inika, the Australian-owned makeup company that only uses ethically-sourced, natural ingredients and packaging across everything from mascaras to lipgloss. This tip goes hand in hand with ditching the makeup wipes. Not only are they bad for the environment, but they’re also not actually that great for your skin and can result in a dry, irritated face. Instead, opt for something more soothing like the Camomile Fresh Micellar Cleansing Water or the best-selling Camomile Silky Cleansing Oil from The Body Shop to cleanse deep into your pores by removing makeup and impurities without drying out the skin. Cutting down on the amount of packaging we use is definitely easier said than done, especially with beauty products, but every little helps when it comes to reducing your personal impact on the environment. 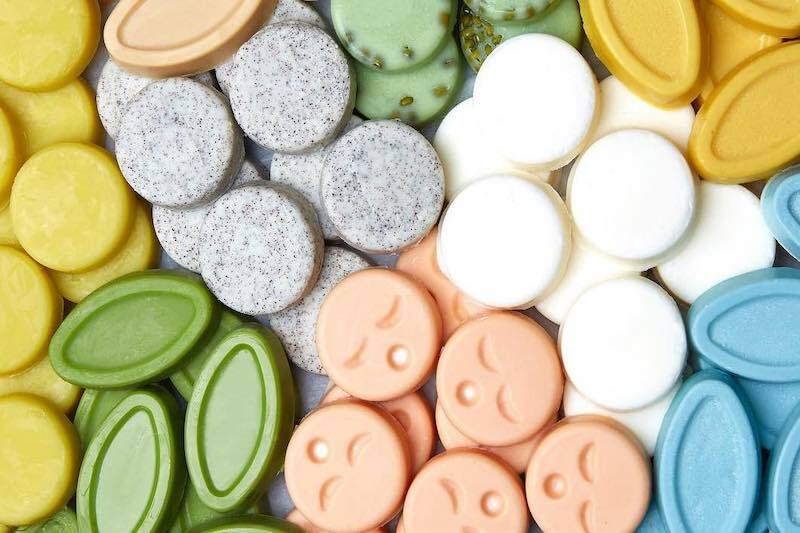 Well-known for a magnitude of ethically-sourced products, the Lush ‘naked’ range is dedicated to package-free alternatives for your everyday essentials, from shampoo bars and shower gels to lipsticks. For deodorant, you could also try Ben & Anna products, which are made from recycled cardboard packaging and come in a variety of refreshing scents.